reconnaissance aircraft is 978 mb (28.88 inches). of the Cuban province of Pinar del Rio this afternoon and evening. warning areas in Cuba and the Yucatan Peninsula later today. could lead to life threatening flash floods. hurricane by Tuesday or Tuesday night. far western Cuban province of Pinar del Rio through this evening. warning areas in Cuba and the Yucatan Peninsula through tonight. are possible within the hurricane watch area by Wednesday. rainfall could lead to life threatening flash floods. winds of 47 mph (76 km/h) and a wind gust of 54 mph (87 km/h). Florida Panhandle, southeastern Alabama and southwestern Georgia. possible within the hurricane watch area by Wednesday. 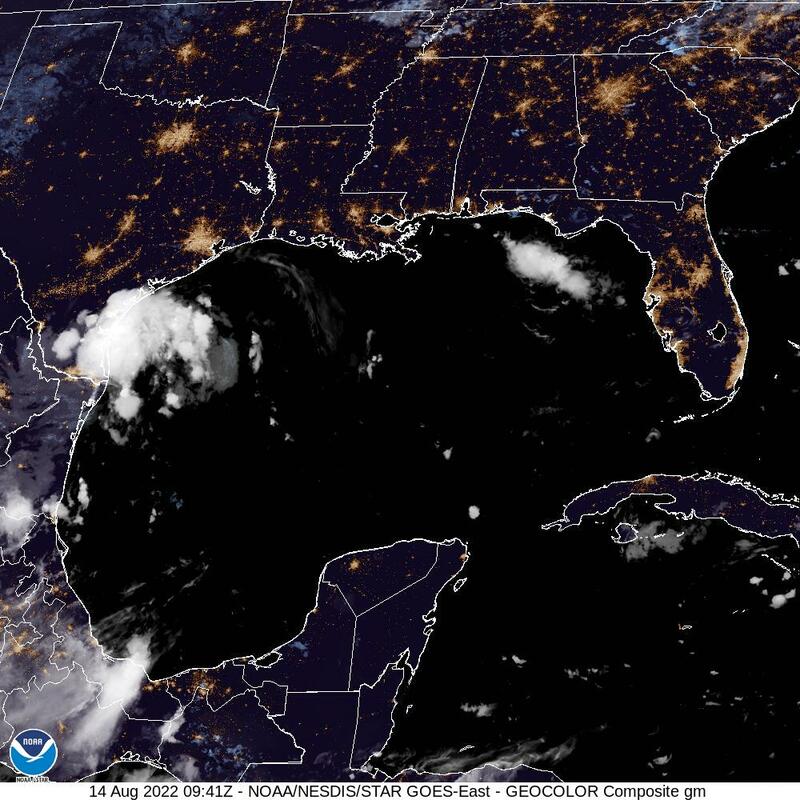 southeast U.S. coast Wednesday night and Thursday. under mostly cloudy skies. Highs will be in the mid to upper 80s. addition, localized flash flooding and a few tornadoes are possible. emergency management and evacuate if told to do so. catastrophic) from Hurricane Michael will be felt across the area. 90s, especially for those without air conditioning. Saturday night, along with a cooler and drier air mass. to mid 80s and lows in the mid 50s to mid 60s. potential for increased shower activity during this period. as early as this evening or tonight. likely with the worst conditions expected on Wednesday. Red Flag conditions are not expected. Tropical Storm Warning for Coffee-Dale-Henry. improvement late tonight into Thursday morning. continue deteriorating through this afternoon and evening. river flooding and flash flooding and a few tornadoes are expected. from the mid 50s northwest to mid 60s southeast. 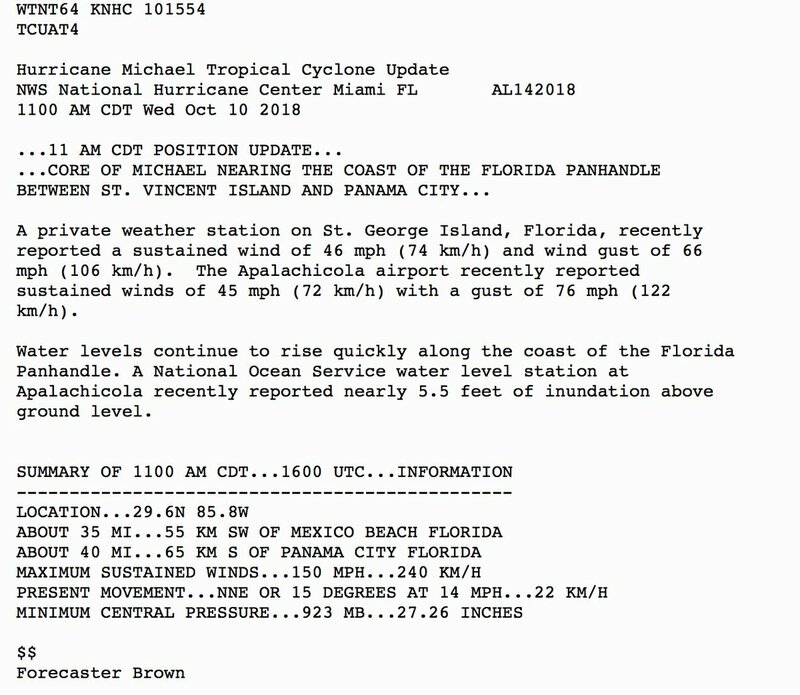 Hurricane Michael is expected to have a major impact on the area. Tropical Storm Warning for Coffee. 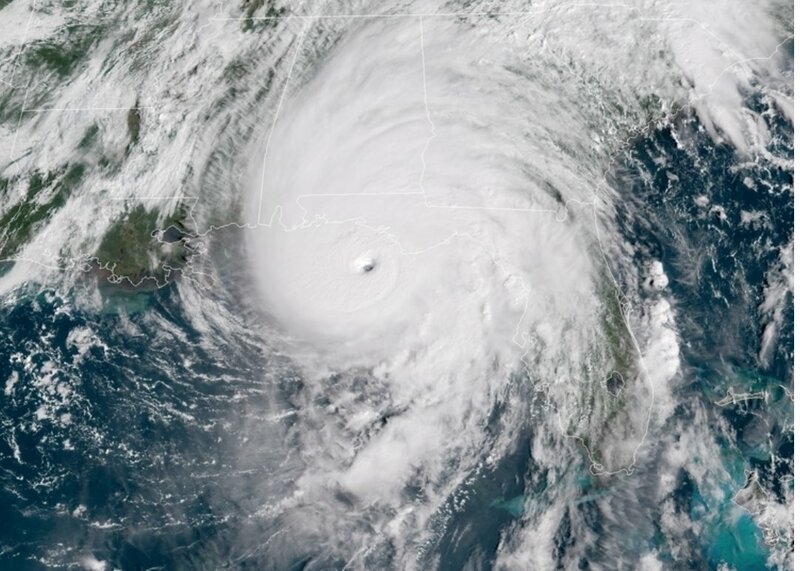 As Hurricane #Michael nears land, take shelter & stay safe. Follow weather updates on your phone or radio. In a tornado WARNING, go to an interior, windowless room. 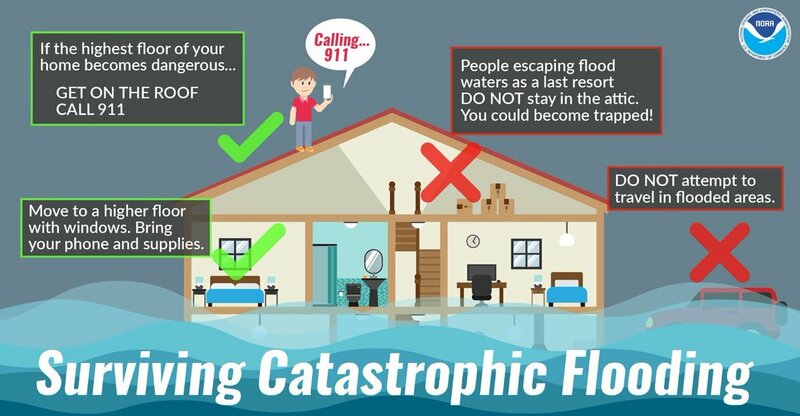 If water comes in, go to the highest floor that’s not flooded but do NOT enter a closed attic. 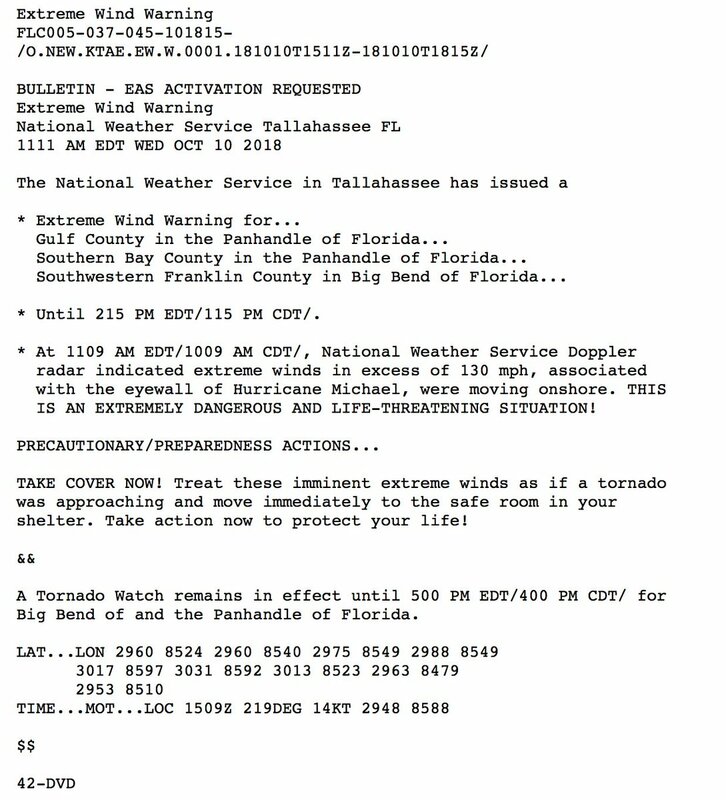 Here is the text of the Extreme Wind Warning issued for the eyewall of #Michael issued by @NWSTallahassee in effect until 1:15 PM CDT/2:15 PM EDT. 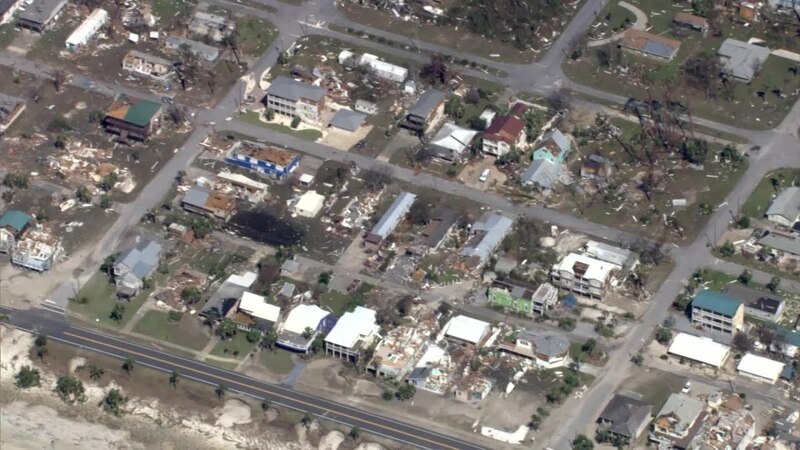 PORT ST. JOE, Fla., Oct 12 (Reuters) - Rescuers used heavy equipment and search dogs on Friday to look for people trapped or killed in the Florida Panhandle towns devastated by Hurricane Michael, amid expectations the death toll of 12 from the powerful storm will climb. So far, counties along the hard-hit northwest Florida coast have reported no deaths related to the storm. That could change, as efforts to assess damage and look for casualties in the worst-hit communities have been hampered by downed utility lines and roads blocked by debris and fallen trees. The concern was for people who ignored evacuation orders ahead of the storm and stayed put in communities that were demolished by Michael's ferocity on Wednesday.